Showcasing the local art, crafts, music, food, and lifestyle of Bend, the Bend Summer Festival is the most fun event of the summer! The Bend Summer Festival has been going each July for over 20 years in downtown Bend. Read on to learn more about one of our favorite events in Bend, Oregon and our special downtown Bend accommodations! The Bend Summer Festival happens every summer in early July. A large section of downtown Bend is closed to vehicle traffic to host the festival, which features local art, crafts, music, food, and lifestyle showcases. In 2018, the food section of the festival will feature a huge variety of restaurants whose missions focus on Bend’s prolific farm-to-table movement. The gourmet food and drink can be found on Minnesota Street, where favorites such as Atlas Cider, Humm Kombucha, Thomas & Sons Distillery, and more will be located. Outside of Minnesota Street, non-gourmet restaurant favorites such as Shred Town Food Cart, Noi Thai Cuisine, Dump City Dumplings, and Philly Style will have food stands. During Bend Summer Festival, over 150 local artists and craftspeople will be showcasing their best work. Jewelry, pottery, furniture, wood carvings, leather goods, paintings, clothing, and more are all woven throughout the Bend Summer Festival. The quality and beauty of the goods offered at the Bend Summer Festival is almost overwhelming, but there’s nothing that feels better than supporting a local artist while purchasing something that’s uniquely one-of-a-kind. In addition to the amazing food and crafts offered for sale at the Bend Summer Festival, the festival also has free nightly music. Although you likely won’t recognize any of the headliners, we promise that if you pick a genre you like, you’ll be pleasantly surprised by the skill of the local musicians in Bend. No street fair worth its salt would leave out a kids’ corner. At Bend Summer Festival, bring your kids along for whole-family fun. At the Bend Summer Festival’s Family Fun Street, kids can enjoy bubbles, face painting, balloon animals, arts & crafts, and entertainment. This is one of the best events in Bend, Oregon for families! Unlike your typical street festival, the Bend Summer Festival has a large section that’s dedicated to Bend’s lifestyle, which is formally known as the Conscious Living Showcase. At the Showcase, over 50 exhibitions highlighting Bend’s outdoor sports and recreation, healing and wellness, sustainable businesses, and home energy conservation. These exhibits enlighten visitors about what Bend prioritizes in its communities. 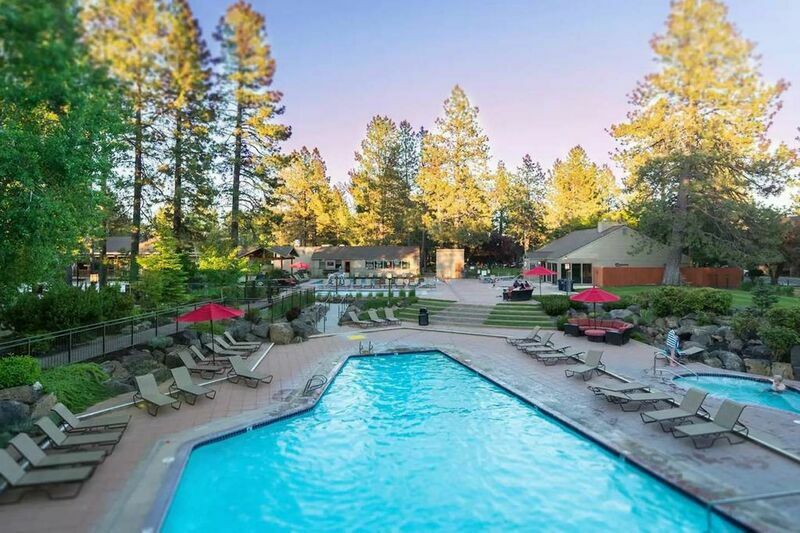 To avoid the hassle of transportation and parking during the festival, stay within walking distance of the Bend Summer Festival by booking one of our conveniently located Bend Vacation Rentals vacation homes. Each of these beautiful homes reflect the contemporary rustic style that’s popular in Bend and come with features such as large living spaces, private yards, fireplaces, hot tubs, and more! Browse our available downtown Bend vacation rental homes today and enjoy the best events in Bend, Oregon!